Remember when you were a kid and a simple milkshake was considered a treat? Not anymore. Milkshakes have been taken to a whole new level these days with outrageous toppings (like entire desserts on TOP of the shake) and treats blended in. 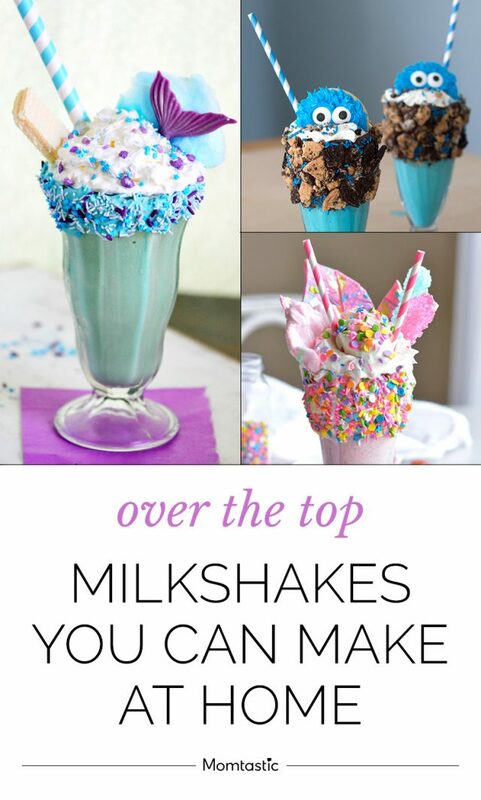 I’ll be the first to admit, I like to indulge when I see an over-the-top milkshake at a restaurant, but what’s even better is learning how to make them at home. They can be a blast to make with kids, especially on a rainy day when everyone is in the mood for a fun treat. Want to make your own over-the-top milkshakes at home? Check out my favorite milkshake recipes.